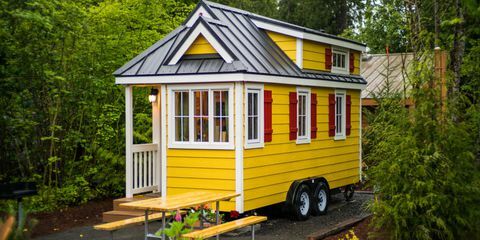 When you are living alone or living with a certain person, there is nothing wrong with living in a tiny house. Living in a tiny house increases communication with your housemate. There isn’t space for hiding. You find that balance between privacy and communication. A bond of understanding is created. Also, living in a tiny house, everything you need is just within reach in just one snap. The rooms are not far away. There’s just a tiny partition between them or sometimes none at all. Everything is near you. Everything you’re using won’t go missing because there is less chance of misplace. What makes living in a tiny house great is that you could feel the simplicity of life. It is not just with the size of the house. Rather, it’s the relaxation that comes with it. Less space means less need for cleaning. You can be relaxed with how simple life is. Don’t hesitate to live in a tiny house. Remember: no matter what the size of the house is, it’s you who can make it your home.